Establish an anchor for yourself and clip into it, and then call out "off belay" so the follower can stop belaying and start preparing to climb. Then attend to yourself. Take off your pack and the rack of climbing hardware. Put on extra clothes, if necessary, for the long period of staying stationary while you belay. Search out available options for belay anchors and for a stance. Visualize the consequences if your stance collapses. Consider other factors. Assess the rockfall danger. Make the belay comfortable enough so you can belay without distraction. Try to be in position to watch the climber and route as'you belay. 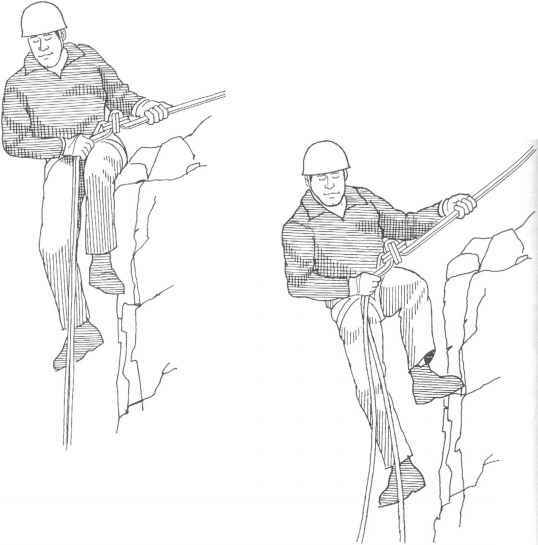 An experienced climber can establish a belay that is also useful for belaying the next pitch, when the follower moves past and up into the lead. Pick the best combination of anchor and stance, after weighing all the choices. Prepare to belay the next lead as soon as you have belayed the follower up to your position. How do you belay your follower?